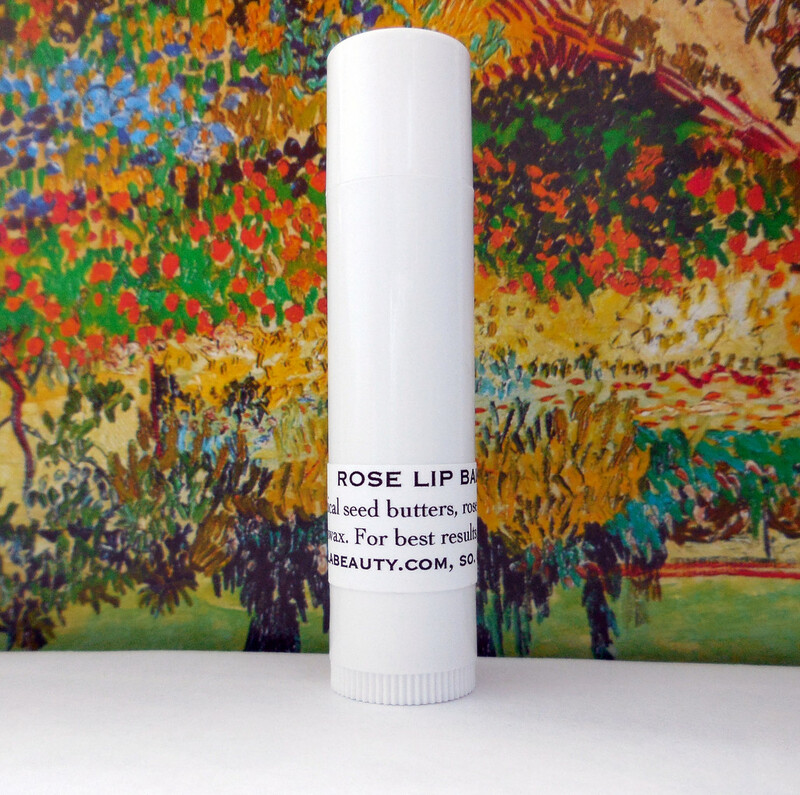 Rose Lip Balm is highly emollient and nourishing. It's great for severely chapped, dry, cracked lips. It gently exfoliates dead skin, smoothing and reducing fine lines and wrinkles on and around the mouth and lips. Contains: tropical seed butters, beeswax, rose lipid and essential oil. For smooth, youthful lips, use daily. For extra relief to very dry lips and/or to combat fine lines, slather on and around lips before bed as a moisturizing treatment. Rose Lip Balm will react to ambient temperature, becoming harder when cool and softer when warm. If it seems too hard, simply blow your warm breath on it for a moment to soften. Our lip balms go the distance of 3 regular lip balm tubes! Our products don't contain any emulsifiers, thickeners, stabilizers, binders or preservatives. The flower waxes and other lipids used in our products are all natural and will respond to temperature changes, becoming harder when cool and softer when warm. Small lumps here and there are totally normal. None of this affects the efficacy of any of our products.